You know why nobody has a voice like that any more? It's not just training. It's unfiltered cigarettes. Mankind went up an octave when the surgeon general got us to kick the habit. Thanks Michael. Never thought of that! Hi, I worked on the Matinee Idol box set and appear in two features. I chose the movies (though I didn't choose Wonderful Urge or Girls Dormitory). These are films not seen unless you happen to get Fox Movie Channel and catch them during the day. I have a small hearing loss in one ear, and for modern TV shows and films I use closed captioning or earphones. For one thing, actors swallow their words, and for another, the filming style today is more in line with reality - people talking at once, a lot going on at once, that kind of thing. I never need any help with the old movies, even with stars talking a mile a minute. 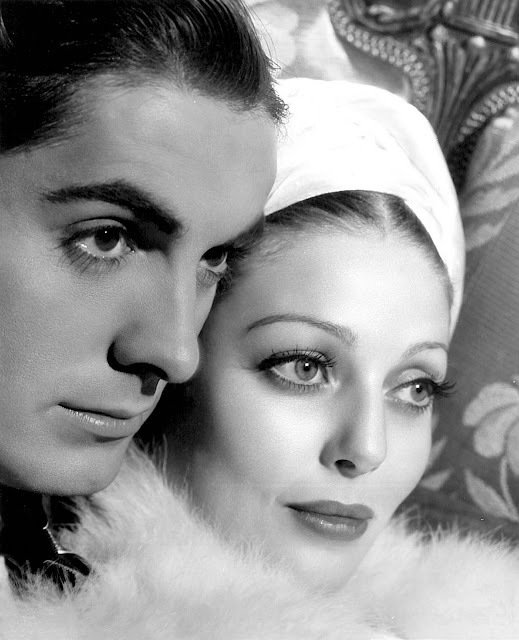 Right now, Tyrone Power is undergoing a huge resurgence. 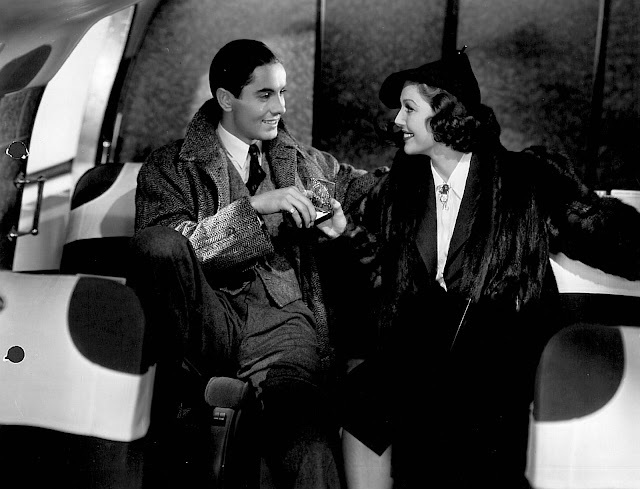 Photos of him recently went at auction for $14,000, while Gable, Taylor, and Garbo went from $800-1200. It's said that Power's films earned a billion dollars. At the time of his death in 1958, the average price of a movie ticket was 60 cents. Definitely a wonderful star who deserves the big bucks he's bringing on ebay. Any chance of Fox DVD going forward with these? 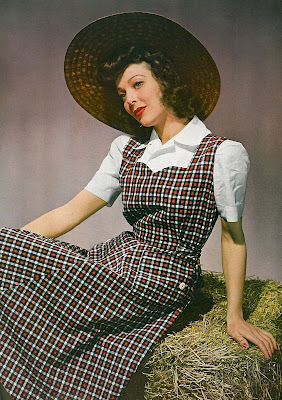 philiperic, I'm not sure what the family situation is with Loretta Young, but it's a shame her albums couldn't have been preserved intact. Regarding how the box sets sold, I only know the first box set, The Swashbuckler one, far exceeded Fox's expectations. (I'm not a Fox employee.) I don't know it from seeing figures, but you don't have to be a rocket scientist to figure out that if they decided to release 10 films the very next year, it did well. I'm not sure how the second one did, except that I do think it did well. As well as the first, with less familiar films on it and with the economy as it is today, I can't say. Well enough, certainly. It definitely wasn't a flop. I'd love to see Fox do a Power "adventure" DVD set with some of the films you mentioned. Other people have written about this, too. I'm thinking several things: 1) They're not going to do anything this year since they've brought out so much and probably figure they've shut the fans up for now; 2) They eventually will bring out a Sonja Henie collection; 3) I'm thinking Suez and Lloyds of London will be brought out separately; and 4) it never hurts to request an adventure set - Fox has been good about listening to the fans. You can certainly drop a line to their Home Entertainment division and request one - Richard.Ashton@fox.com. I loved Power's work in a lot of films - if his acting was sometimes mailed in, his movement and action on film was so natural he never seemed as stiff as his worst performances implied. 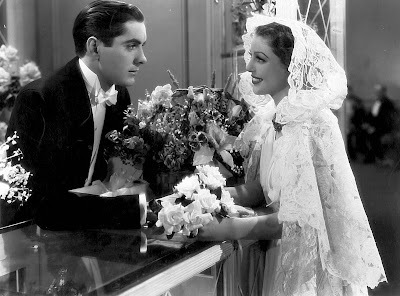 Watching him progress into a star from all the linear releases over the years is exactly what I try to stress about the Studio system - the audience would see gradual increases in range by the better actors, like Powers eventually became, and the Studios depended on this recognition from viewers to keep the mill grinding. Unfortunately, the mill also ground out Young's type of stuck-in-amber persona, which is a real turn-off for me. It's an interesting comparison between the two here: Young started out relatively fresh onscreen in her early roles, and regressed as a less interesting actress as time went on, but Power became a real talent beyond his looks - the kind of looks that Young traded on for years rather than that spark she had at the beginning. Nice post about the dichotomy of Studio products. What a wonderfully detailed piece! 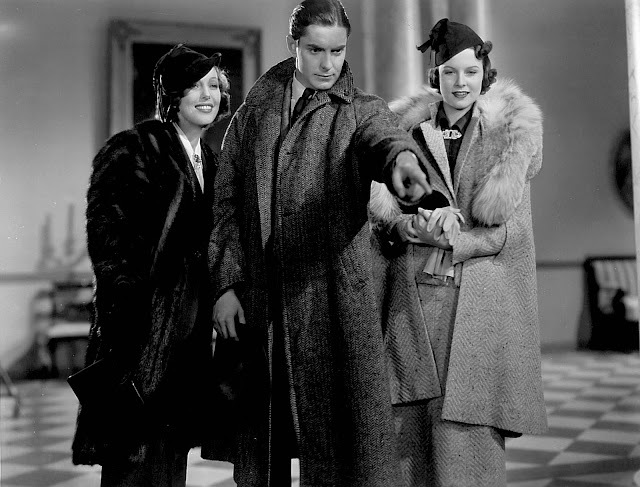 Thanks Robby, and back at ya for your own fantastic "Dear Old Hollywood" site. Really loved that piece you wrote (and all the neat fotos!) 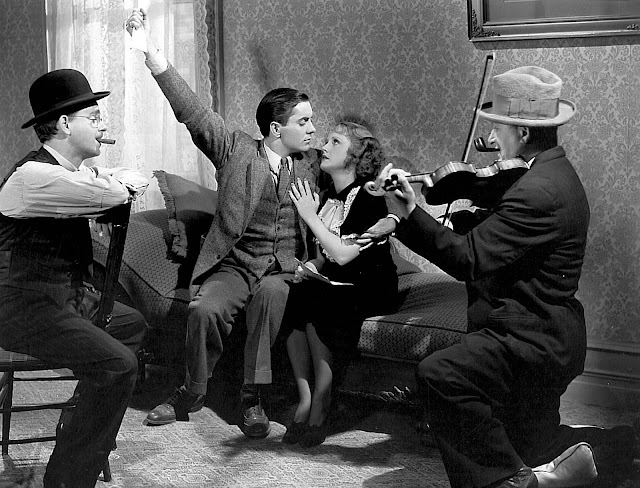 on the Chaplin studio. 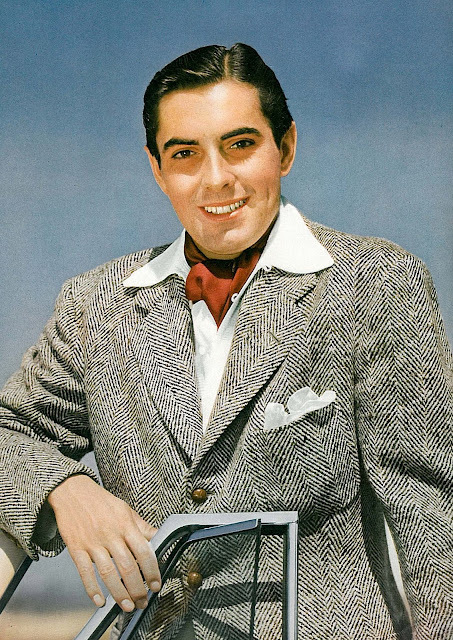 Can't say I'm that familiar with Tyrone Power, largely because TCM doesn't show many of his films and I don't get Fox Movie Channel on my cable system. The renewed interest in Power due to his clear speaking voice doesn't surprise me. That's certainly been a reason for the revival of interest in William Powell in recent decades. 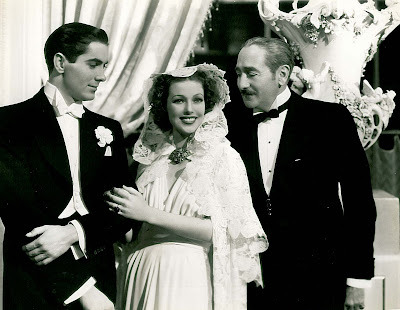 Loretta Young indeed became less interesting in the post-Code era. I am happy she lived long enough for many of those early films to be revived and for her career to be positively re-evaluated. MARGIE, a favorite Jeanne Crain film. dramatic relevance out of these films. in the thirties, forties and fifties. They were pure escapist entertainment. show tonight?" was a frequent question. lives while the men were overseas. that reasoning after the fellas came back. even small profit, kept the studios afloat. were not considered stuff that dreams were made of. As always, John, a great post and a very insightful analysis of exactly who these films were being aimed toward at that time. Selznick and Wellman's (and Dorothy Parker's) depiction of "Esther Blodgett" appears to have been a pretty accurate one, as you indirectly point out. There were millions of Esther Blodgett's scattered across the country in those mid-Depression years, who lived to "go to the show" and moon over Ty and Loretta. By the way, I've been going thru the boxed DVD set sent me by this nice lady with the Tyrone Power Society (she's the one by the way, who petitioned and lobbied the people who release these things at Fox to get this out in time to honor the 50th anniversary of Tyrone's passing -- I know, because I was one of the signers). 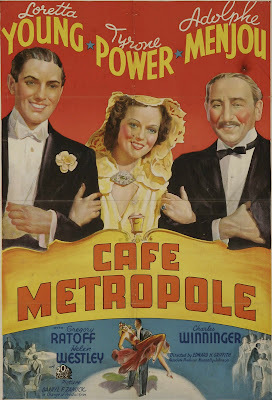 I just watched "Cafe Metropole", which I had never seen. 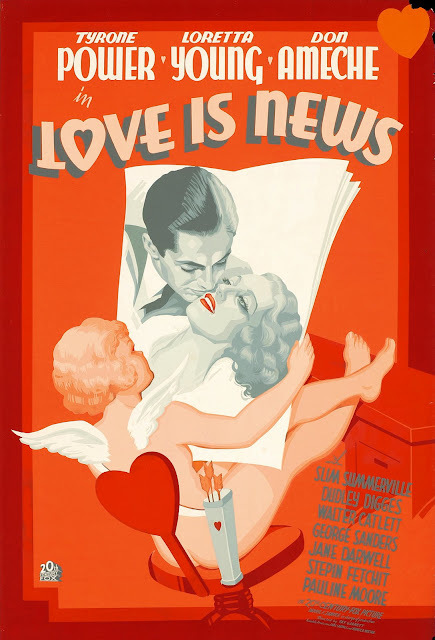 I'm a sucker for these 1930's mittle-European/imitation - Lubitsch films they were making in those days, and this one did not disappoint! Once again, you hit it out of the park with this post! Great job, and as always, my congratulations on a wonderful job. P.S. : Loretta sends you a kiss! Another very nice post indeed. Thank you so much for this blog. You're asking me! Here's a funny -- maybe not so funny -- P.S. about the "Santa Glen", and that particular-corner of Beverly Glen and Santa Monica. My friends and I always used to refer to it as "the corner where all the comedians died"! It's true. Lou Costello died suddenly across the street on the opposite corner, at what used to be called "Beverly Hills Doctor's Hospital". (Today it's an office-complex -- in fact, our office here in L.A. does business inside there all the time. Whenever I walk-in, I can faintly hear an echo: "Hey,Abbott!"). Directly-across the street, right at the intersection, is where Ernie Kovacs suffered his fatal auto-crash early one New Years' morning, coming-back from a party up the hill at the Billy Wilders'. (I can still remember it was during a heavy rain-storm we were having out here that year). (Gruesome, isn't it?) Interesting story about how Lou Costello died. In those days, adjacent to the Santa Glen, was a drug-store, with one of those old-fashioned wrap-around soda-fountains that were so prevalent, and popular then. Apparently, the story goes, Lou sent his manager, Eddie Sherman over to buy him a strawberry milkshake. Eddie returned, delivered-it, and they sat and talked some business for awhile. Finishing the last of it, Lou said to Eddie, "That was the best strawberry milkshake I ever had". Then, he closed his eyes and died. 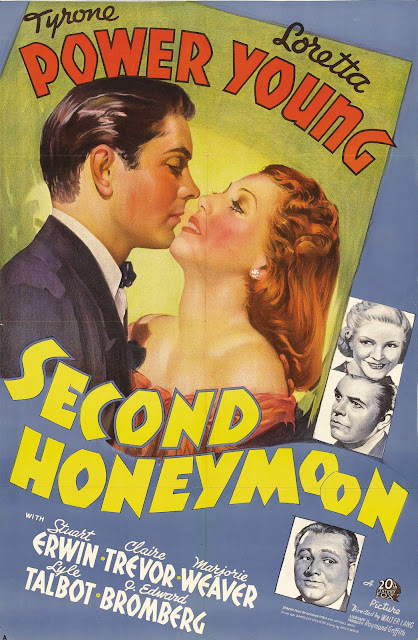 Another great, somewhat forgotten Power film is "Second Fiddle" -- a satire on the search for Scarlett O'Hara , with some great Irving Berlin tunes, and a wonderful performance by the redoubtable Edna May Oliver. (And again, proof what a great, natural light-comedian Ty was).